Recently retired Tipperary hurler, Eoin Kelly was accorded a civic reception by the members of the Carrick-on-Suir Municipal district of Tipperary Co. Council. The reception was held in Mullinahone and was chaired by Eddie O’Meara, M.C.C. Ballydonnell, a neighbour of the Kelly family and current Chairman of the Carrick-on-Suir Municipal area. his reception was only the second ever to be held outside the county buildings and was the first ever accorded by the Carrick-on-Suir Municipal area. The size of the attendance which flocked to the Mullinahone C.J.Kickhams GAA Centre and the content of the many speeches made at the reception attested to the huge esteem in which hurling legend, Eoin Kelly is held both inside and outside Tipperary. A very nice touch was lent to the proceedings when a copy of the poem “Tribute to Eoin Kelly” composed by local poet, Joe Tobin was left for every person who attended, as a souvenir of an historic occasion. In the Tipperary Yearbook of 1991, in an article entitled “Four points short of senior status”, the following was written. “Our U12 side had one very bright prospect. He will still be eligible for minor in the year 2000”. It was a pointer to what was to come. The following year 1991, Eoin won his first Tipperary medal when he captained the U10 Mullinahone team which won the County Community Games football title and reached the Munster Final. Starting in 1997, at the age of 15, Eoin has won 10 South Tipp. senior hurling medals. Another win would give him 11medals which is the South Tipp record currently held in Carrick-on-Suir In a fine acceptance speech, Eoin thanked his own family and the large crowd who had turned out to support him and the Council who accorded him the honour of a civic reception. Eoins wife, Sarah, was presented with a bouquet of flowers. Eddie O’Meara MCC was an excellent host of the reception and master of ceremonies. All who attended were then provided with refreshments and the curtain came down on yet another great Mullinahone night. We will welcome our new Archbishop, Kieran O’Reilly to Mullinahone on this Thursday, 26th March to administer the Sacrament of Confirmation to 50 pupils in our 3 Primary Schools. The ceremony will begin in St. Michael’s Church at 11am. All are welcome. Anniversary Masses next weekend, Saturday 28th March at 8pm Ned and Kitty Gardiner, Poulacapple and their family members, Michael and Kathleen. Sunday 29th March at 11.30 am Oliver and Bridget Dempsey, Kilcash. Confirmation Ceremony will take place on this Thursday at 11am in St. Michael’s Church. In preparation for Easter, there will be a Penitential Service on Sunday evening next, 29th March at 7pm. Our ladies club will hold a coffee morning in the Community Centre from 10am to 12 noon on Daffodil Day, Friday next, March 29th. The morning will be in aid of the Irish Cancer Society. Tuesday and Friday. Pick you up at your door at 9.50am. Leaves Clonmel at 1.30pm, Fare €10. Phone to book seat the day before. Ned O’Brien 086-3719144. Local GAA Club has been rather lucky in some recent Tipperary GAA draws. Biggest winner was Breda Ryan of Kyleaduhir who won a car in the last monthly draw. Congratulations to Breda and also to Tommy O’Sullivan who won a promoters prize. Our senior hurlers were in action on Sunday morning last in the local sports field. After an exciting game, they came from behind to send the game to extra time against Moneygall. The score after 60 minutes was Moneygall 3-10, C.J. 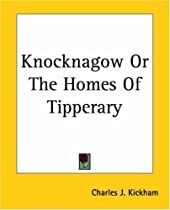 Kickhams 1-16. We got on top in extra time and ran out 2-23 to 3-13 winners over the Obamamen. It was a lovely morning and our pitch was in good condition. What a pity more supporters weren’t present to see an improved display. We have now qualified for the semi-final of the Dr. Fogarty Cup.